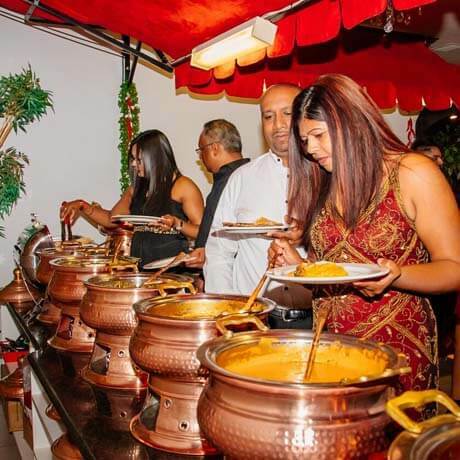 Taste of India offers a sophisticated dining experience for those who are seeking to explore beyond the ordinary and discover the full potential of fine Indian dining which offers uncountable vegetarian dishes for the vegan lovers and plenty of options to choose from the Tandoori range for the meat lovers. The menu takes you on a journey across the different regions of Indian subcontinent to present a superb combination of vibrant dishes and from the regional vibrations of Indian cooking that provides a wide choice of cooking styles accommodating Jain vegetarians also. The head chef has matched each dish with a style to bring out the distinct flavor and fragrances of the dish to tantalize your senses. Taste of India features a friendly warm ambiance for every group type, from families to corporate groups. 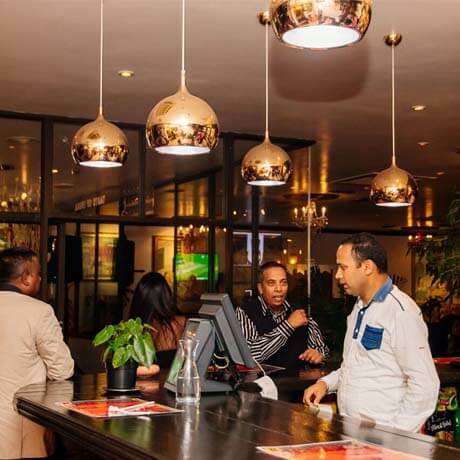 It boasts a large bar with a friendly atmosphere and an excellent selection of wines and spirits. To ensure every trip to Taste of India is intriguing one, guests are looked after by a team of friendly and hospitable staff, who concentrate on making sure that guests enjoy their time, and experience the unique gastronomic adventure in “Taste of India” style.